It’s the excellence of our extra virgin olive oils produced by carefully selected Cultivar Taggiasca olives coming exclusively from hinterland of Imperia. It distinguishs for a full and harmonious, rich and delicate flavor. The DOP certification of which this product enjoys, guarantee quality and genuineness. Product sell in case of 6 articles. Free shipping in all Italy for order starting from 150€. It’s a valuable extra virgin olive oil, of incredible purity, that has in the delicacy its strong point, because of is able to celebrate the organoleptic characteristics of each dish keeping original flavor. 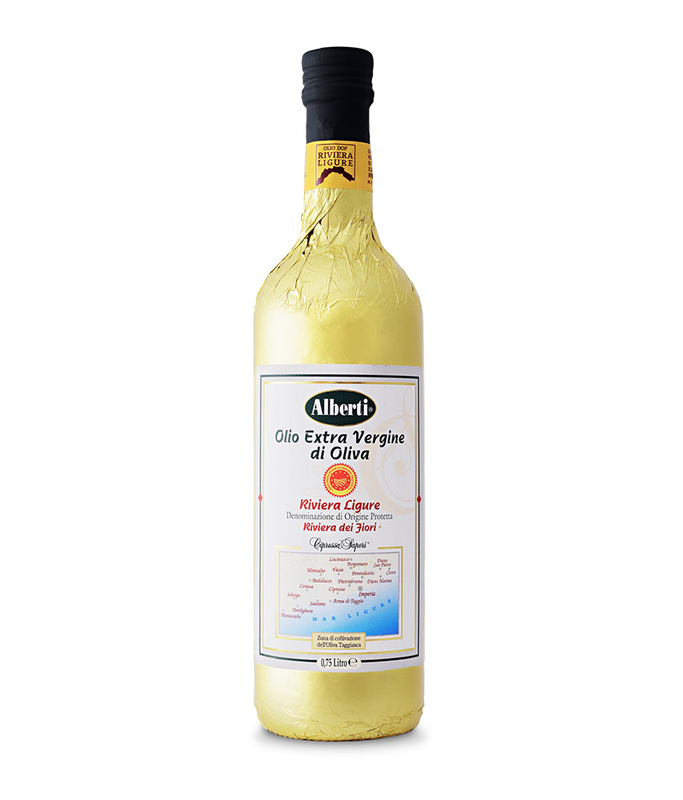 It’s an extra virgin olive oil called “mosto” because it’s made naturally decant, is not filtered but comes poured over several times to avoid forming of excessive deposits on the bottom of the bottle, that is covered with gold paper to protect the extra virgin olive oi from the light, due of defects.